In the intensifying fight against superbugs, researchers are turning to “phage therapy”—a century-old medical technique that predates antibiotics by 25 years. During World War I, microbiologists discovered the existence of viruses that essentially infect and destroy bacteria. While early experiments showed that these “bacteriophages” could be used to treat infections, they were quickly superseded by antibiotics in the 1940s. 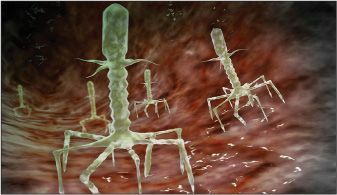 With the recent rise in antibiotic-resistant bacteria, however, scientists are giving phage therapy another look. Bacteriophages are ubiquitous—found everywhere from sewage to the human gut—and every type of bacteria is thought to be susceptible to at least one of them. The challenge is finding the right phage-bacteria combination. The process currently involves covering the target bacteria with different viruses, monitoring which parts of the bacteria die, and then cultivating the relevant phage. That currently takes five to 10 days, which would be too long to save many patients—but scientists believe it can be streamlined. The Food and Drug Administration has granted doctors permission to use phage therapy in at least four life-threatening infections.